The most common question every girl asks themselves in the morning is “Who do I want to be today?” No matter what your answer is, HSI Professional has the solution for you! A finished look means your hair and makeup are on point. With HSI Professional’s NEW Groove Master Kit, choose between 10 different curling wands to find the right look to start your day. 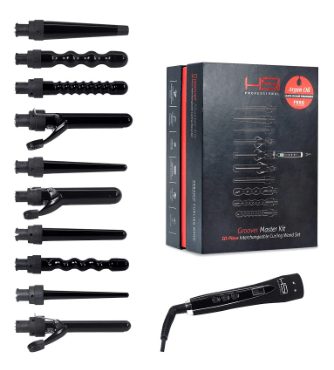 The Groove Master Kit – 10-piece Interchangeable Curling Wand Set is specially designed to help declutter and save money on curlers and salon visits! With different shapes and sizes, you can achieve those loose beach waves or more formal tight curls, with one hair tool! This hair curler set is easy to use and can heat up within 60 seconds! Looking for another hairstyle? Just press the button and change the barrel! The essential oils of French lavender and refreshing eucalyptus soothe the body while reducing physical and mental fatigue. 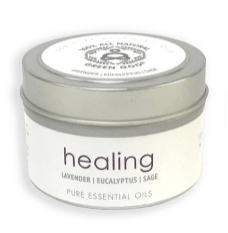 Combined with sage, the ‘sacred herb’, anxiety can be relieved and euphoria can ensue. Detoxify, energize, and heal with these aromatherapy candles from Green Goo! Green Goo’s Bath Salts are harvested from the crystal clear waters of the Mediterranean Sea. Evaporated by the sun and ocean air, this all-natural sea salt has a lovely trace mineral content that produces a beautiful, high quality bath salt. Well known for easing muscle tension and promoting overall relaxation. 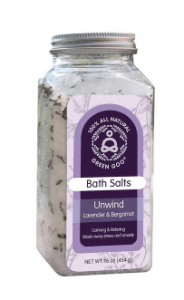 Perfect for soothing sore muscles, relaxing soaks, and calming foot baths. 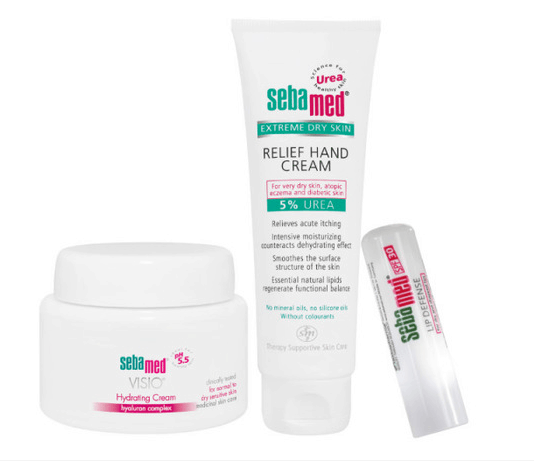 Treat your sweetheart to Sebamed’s special Treat Kit for Valentine’s Day. Each solution is handpicked to treat a different part of the body, rehydrating dry skin. Our Lip Defense Balm instantly relieves chapped lips, making them perfectly kissable. The Extreme Dry Skin Relief Hand Cream is formulated with 5% urea to deeply soothe rough hands. And our Visio Hydrating Cream rejuvenates facial skin with an amazing hyaluron complex. 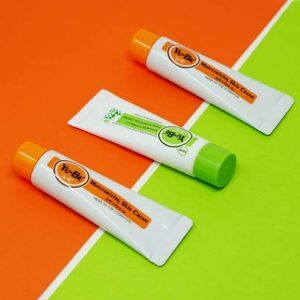 Yu-Be Skincare is launching a reformulated, unscented version of their cult favorite cream, Yu-Be Advanced Formula Pure Hydration Cream with Chamomile Extract. The new Advanced Formula Cream is available for $16 via www.yu-be.com, select Yu-Be products can also be found at Target, Amazon, Anthropologie and Nordstrom online. nyakio™, a new skincare collection grounded in ethically sourced ingredients that combines cultural traditions with modern, results-driven formulas. The line features a five regimen collection: (Cleanse, Exfoliate, Restore, Moisturizer and Treat) that work together to hydrate, revitalize, smooth and provide anti-aging benefits. Sweet Almond Cleansing Balm ($28), Baobab Lip Balm ($22) and Kenyan Coffee Lip Polish ($24) are great Valentine’s Day Gifts! I’ve attached high-res images. nyakio products are available at Ulta and Ulta.com. Nubian Heritage offers hundreds of culturally authentic natural skincare products, inspired by global ancient healing traditions, that are free of sulfates, parabens, phthalates, paraffin, gluten, propylene glycol, DEA, silicones, mineral oil, petroleum, synthetic fragrance and artificial color, and never tested on animals. The Patchouli & Buriti collection would make great Valentine’s Gifts, especially the bar soap (4.99), body lotion ($12.99) and body wash ($12.99). Nubian Heritage products are available at nubianheritage.com. Every woman deserves to pamper herself, especially on Valentine’s Day with a nice warm bath or leisurely shower routine. 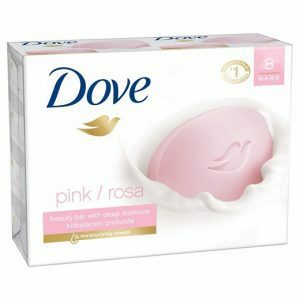 As the #1 Dermatologist recommended bar, Dove doesn’t leave behind that dry, tight feeling that ordinary soaps can. Instead, the signature ¼ moisturizing cream and mild formula leaves skin feeling soft and smooth. DreamBelly Butter by Fairhaven is designed to help protect and nourish your skin as it stretches to accommodate your growing belly during your pregnancy. Chapped skin a real concern for winter athletics. Olen Cosmetics has created *the* best solution to this dilemma with their Baby Butz Cream. Not only the safest and most effective diaper rash treatment available without a prescription it’s perfect to use for chapped skin and to protect against the elements. 100% natural ingredients and 30% zinc oxide. Used in hospital neonatal units and many pediatricians hand out samples plus medical professionals have endorsed this cream. No Chemicals, no Alcohol, no perfumes and hypoallergenic. Just because it’s winter doesn’t mean you still can’t get burned especially when participating in snow activites because the snow reflects the sun making sun exposure a real issue in cold climates. Olen Cosmetics and their Sun Blocz 100% natural sunscreen is just what you need to stay protected. 100% Natural Sunscreen, 24.5% Zinc Oxide (non-nano), SPF 50 – UVA+UVB Broad Spectrum, water resistant for 80 minutes, hypoallergenic, doesn’t sting eyes, and repels bugs! Winner of the 2017 Baby Maternity Magazine Top Choice award and the 2016 Cribsie Awards Academy Star award, BabyIt is a must have for all pregnant moms! 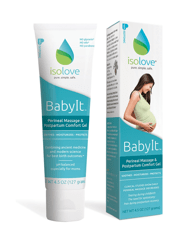 Doctor-formulated and paraben free BabyIt is a multipurpose gel that can be used to sooth and heal sensitive areas as well as to moisturize baby’s delicate skin. When it comes to natural beauty products, Boomers and Millennials, comprising a market of tens of millions of women across the country, want natural, safe and effective products they can trust. According to a September 2017 survey of women conducted by The NPD Group, a global information company, 40 to 50 percent of respondents said they actively seek products with natural or organic ingredients. These results support the Green Beauty Barometer, a Harris Poll Survey conducted in consecutive summers—2016 and 2017— that found 59 percent of women over the age of 35 believe buying green—products free of fragrance, parabens, phthalates, sulfates and even gluten—is important. An even greater number of Millennials—73 percent—want cleaner, all-natural products. Here are a few great products ranging from ingestibles to hair coloring and care, make-up and skin care. HAIR: Herbatint—Is the world’s leading manufacturer of all-natural permanent hair color offering an alternative to conventional drug store brands, and the first commercially available ammonia-free product. Herbatint’s salon-style approach to application and alcohol-free formula ensures the safest possible permanent hair color. Choose your color in three easy steps. MSRP $17.99. EYES: ZZ Sensitive Anti-Stress Regenerative Eye Cream by Annemarie Börlind—From deep in the Black Forest of Germany, Annemarie Börlind has been synonymous with effective natural skin care for decades. Comparable to the effectiveness of department store brands, Börlind pioneered the use of innovative plant extracts with a sustainable approach that continues to gather fans worldwide. Annemarie Börlind’s focus on systematic skin care with proven clinical results sets the company apart from other natural brands that only focus on organic standards. There simply is no other brand of skin care that can promise the quality and effectiveness of Annemarie Börlind. MSRP $34.99 .50 fluid ounces. LIPS: INIKA Organic—For lips that shimmer and shine, the new INIKA Certified Organic Lip Glaze collection comes in seven new shades, from vibrant jewel-tones to subtle nudes. These beautiful, all-natural, vegan lip glazes help to refine the texture of lips without harsh, chemical-based or toxic ingredients – all without compromising on color and appearance. Carefully selected to flatter a multitude of different skin tones, INIKA glazes are silky-smooth when applied. MSPR $25. SKIN, JOINTS, BONES: Collagen BeauTea by Reserveage Nutrition—The whole-body wonder of collagen in a delicious tea to support your active lifestyle. Nourishing from the first sip, one cup of Collagen BeauTea provides a day’s serving of clinically-backed collagen protein. Hydrolyzed collagen peptides are rich in amino acids and well absorbed to nourish your inner beauty and activate the wellness benefits of collagen. Infused with aromatic botanicals for an enhanced tea experience that supports the health and glow of skin, joints and bones. MSRP $29.99. BEAUTY SLEEP: Beauty R&R by Reserveage Nutrition—Daytime beauty begins with refreshing deep sleep the night before. Lack of sleep can disrupt this delicate renewal process. An innovative combination of the amino acid L-Theanine and herbs, Beauty R&R is specially formulated to first help calm a restless mind to prepare for sleep. Then, melatonin helps the body maintain restful slumber. To support radiant skin, it contains one of the leading collagen ingredients, BioCell Collagen, to supply building blocks the body needs to produce collagen. MSRP $54.99/60 count bottle. GLOW: Just Thrive Probiotic & Antioxidant—Remember the old adage, “you are what you eat?” Latest breakthroughs in the human microbiome revise that to “you are what you absorb.” The amazing carotenoids (antioxidants) produced by Just Thrive Probiotic spore-forming bacillus strains in the gut have a powerful effect on the health and beauty of your skin, and aging in general. The challenge with carotenoids from supplements and food is they’re not easily absorbed. However, Just Thrive Probiotic delivers RDA-levels of six key carotenoids in the most bioavailable forms you can consume. Who knew a healthy gut was the pathway to beautiful skin and anti-aging? MSRP $49.99/30-day supply. When you’re building muscle or shedding pounds, skin nutrition needs to be part of your routine. During strenuous exercise, muscle builds and fat declines. As your body composition changes, skin gets stretched and stressed too. 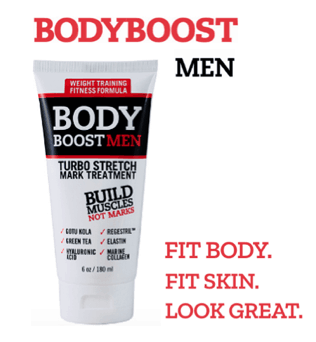 Body Boost, the marine and hyaluronic acid infused cream, not only helps to fade stretch marks but also prevent them. When you’re building muscle or shedding pounds, skin nutrition needs to be part of your routine.